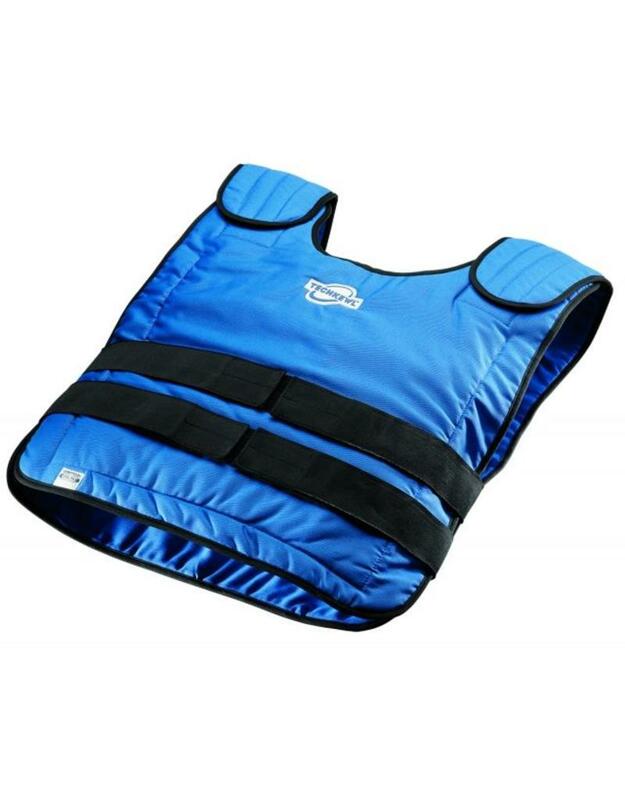 A professional cooling vest, executed in blue, which is suitable for industrial use. The cooling vest has a scoop neck. On the shoulders and on the girth are adjustable Velcro closures. It is made of 100% cotton (excluding the supplied Coolpax elements). At the front there are various pockets, of which one on the chest. The cooling vest is supplied with a cooler bag including 4 Coolpax elements. After freezing of the Coolpax elements, the cooling vest will cool for 2.5 to 3 hours at a constant temperature of 14 degrees Celsius. You freeze the Coolpax elements in the refrigerator, freezer or ice water and the elements will freeze at 14 degrees. After 45 minutes, the elements are completely frozen and you can place them in the cooling vest. Weight including Coolpax elements: 1.9 kg. 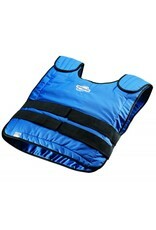 This cooling vest works in any environment or climate. These cooling vests are also suited for military and industrial use, as the cooling vests for example can be worn under combat gear.